Colouring Cleanser for Hennaed Hair. 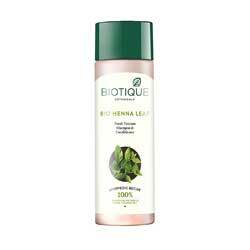 Contains Henna which thickens the hair and add a gloss. Can be used on hennaed hair to maintain the henna colour. It retexturises and adds body and fullness to hair. Prevents hairfall. A conditioning and protective cleanser for hair and scalp. Henna is a small tropic tree with leaves of color that have tinted and conditioned hair for thousands of years. This luxurious formula is a blend of pure henna leaves, soapnut and berberry to cleanse, condition and add a hint of henna highlights. Smoothes hair texture and brings out the richest brown tones. Leaves hair full of natural body and shine. Can be used daily to keep away premature grey hair. Apply liberally to wet hair and work lather through strands, from scalp to ends. Rinse well with water. Repeat as necessary. Mehndi Lawsonia alba) 2.0%, Brahmi 1.0%, Mulethi 1.0%, Aam Beej (Magnifera indica) 1.0%, Harar (Terminalia chebula) 1.5%, Arjuna (Terminalia arjuna) 0.5%, Ritha(Sapindus mukorossi)3.0%, Himalyan water q.s. Ayurvedic Medicine. Organically Pure & Preservative Free. No Animal Testing.